The smartphone has changed just about every aspect our lives. Sometimes for better, sometimes for worse. From the way we travel, to the way we access information, calm or entertain ourselves to the way we share memories with loved ones - it’s been dramatically altered by simply having this robust computer in our pockets. If Figure 1 looks a bit dated and built for super small screens, well, it was, and not many people used it. It wasn’t until Apple led the way in 2007 with the launch of the iPhone that content consumption on mobile started rising and carrier control started declining. Oh, the days of carrier dominance in mobile content. It seems like a distant past, but one that could be regained, with the help of Mobile Posse. The Mclean, VA-based company, founded in 2005, offers carriers a way to get content back in front of their customer’s faces by, essentially, changing the way the device works. It’s the next step in the evolution of mobile devices that puts control back into their hands. To understand how this could work, it’s worth looking back to see how the mobile device evolved and transformed through different eras, specifically over the last 15 years. As mentioned above, the first era was the very early days when carriers had the run of the place, through early WAP pages. “Let’s be clear, carriers were the big players in something that really didn’t exist yet. The dollar opportunity of the market is billions of dollars now. But, it was worth nothing back then, since there was very little content, poor data service, and barely a mobile advertising ecosystem,” said Wester. The second era started on June 29, 2007, the day the first iPhone was released. Suddenly, information could be “surfed” via a mobile browser, which the carriers didn’t have control over. “This period was a time where smartphones did one thing: get rid of the small malls that directed where consumers could go. 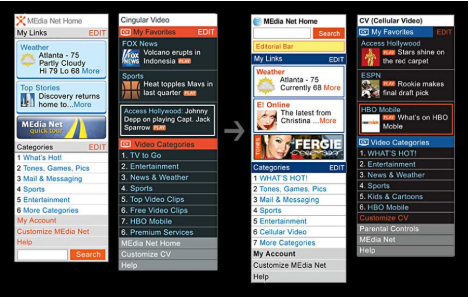 The mobile web changed that by allowing consumers to go search and discover whatever was published on the mobile web. The mall broke apart,” Wester explained. Sooner after, in 2008, came the proliferation of apps, which defined the third era. “Apps made it even easier for people to access content and for people to use Facebook and Google. The mobile ad market also appeared. So, now carriers started to say, ‘Not only did our stuff go away, but someone else is starting to make money.' Trends began to show that Apple, Facebook and Google would make serious money off of this. All on the carriers’ backs.” said Wester. The fourth era then came about in 2016, with unlimited mobile data. Unlimited data has had one very big, important impact on the way we consume mobile: it made content consumption a commodity. With that kind of use case, it would make sense for a smartphone to actually be, you know, smart, and know what the user likely wants. Frankly, the name is kind of a misnomer since smartphones don’t actually have that kind of intelligence. In fact, all they’re “programmed” to do when you turn them on is to show you the last app that you looked at, much like a television merely remembers the last channel you watched. But what if the phone could actually predict that a user might want to discover new content? 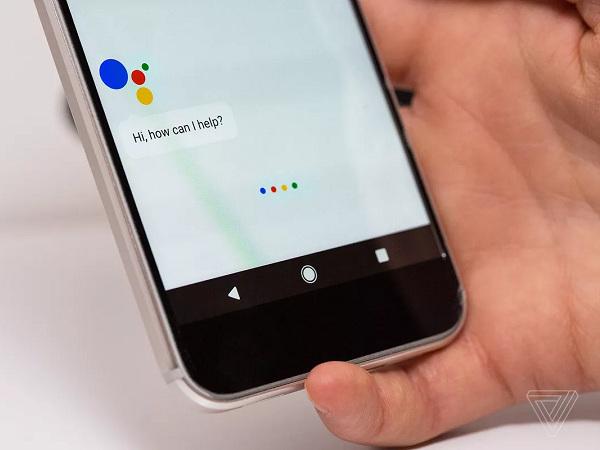 This is the fifth era of the mobile device, a time Wester calls, 'device-centric,' or 'built-in content discovery,' when the phone itself is starting to recommend content, giving it that layer of intelligence that it has, so far, been lacking. Wester identifies three stakeholders that can reinvent the phone for users: first, Original Equipment Manufacturers (OEMs), which are companies like Apple, with Siri, and Samsung, which has Bixby; second, OS developers, which are, again, Apple and Google. The third one, and the one that Mobile Posse most often works with, are the wireless carriers. Mobile Posse allows them to enhance the device in three distinct ways, which improve the mobile experience and, at the same time, provide carriers with ways to own their fair share of the mobile ad market while improving subscriber satisfaction. Mobile Posse’s first solution is called FirstAPP (shown in Figure 2), a smart agent that determines what users see when they first open their phone. Smartphones unlock to the last app used, even if a person was done using it. 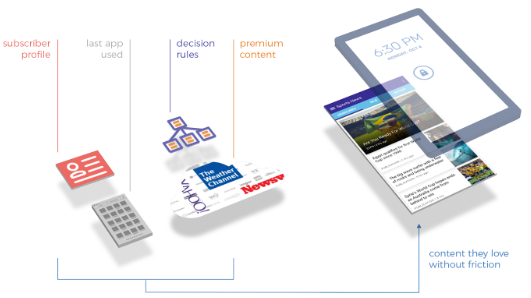 FirstAPP serves up content that is relevant for users at that moment. This content is sourced from leading publishers and is based on preferences and how users typically interact with their phone. “The way that smartphones work today is it sends out a notification. If you subscribe to CNN or MSNBC or Fox News or whatever, you get breaking news alerts. We are smarter. We learn over time when are the good and bad times for you to receive that content. 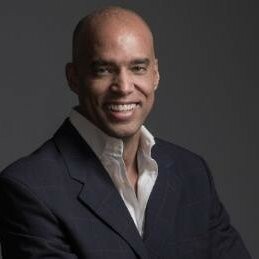 Then FirstAPP has it ready and waiting for you when you first unlock the phone," said Wester. The second product offered by Mobile Posse is called FirstPLACE, which makes content discovery possible from the screen that’s one swipe to the left side of the phone’s home screen, also known as the “minus 1” screen. “On any smartphone, if you swipe all the way to the left you’re going to find something. We call that FirstPLACE because we say it’s the first place you go when you’re looking for content. It really is your device launcher,” said Wester. The third product offered by Mobile Posse is a browser product that it calls FirstPAGE. “The default browser that is installed on phones, when you go into that browser and decide to open up a new page or tab, it typically opens up a blank page. We call it FirstPAGE, and we run that for carriers and what we do is put content on that page, as well. We don’t take any functionality away, we just add additional content that the user has the opportunity to engage with,” Wester said. The common thread throughout all three products is that it’s all about bringing people relevant content on all steps of the mobile journey. “In all of these, we try to bring the relevant content to you as you go through the device journey. I unlock my phone, I might find content relevant to me. I swipe to go off to the far left screen to start my journey, content finds you there. Open up a new browser tab to try to start my search for something interesting, content finds you there. So, rather than you searching content, content finds you in these native device experiences," Wester explained. Ultimately, you might be asking: what does this actually mean for the carriers? What would success look like for them? At the highest level, success is creating a positive brand experience for users and happier subscribers, according to Wester. At other levels, it comes down to looking at what share of the subscriber’s time in media that carrier owns, and of course, revenue. “Where there is content there is advertising and, by creating a phone experience that presents relevant content to an interested subscriber, you can engage them and monetize that experience through advertising," he told me. “But, if a telecom company wants to become a mobile media player or a media player overall, one metric of that, outside of revenue, is what share of a subscriber’s time do you actually have? You can do a lot but what share do I have? That’s the other way we measure it, and for the clients that adopt our platform we generate significant share of time,” said Wester. Besides ratings and reviews, another way Mobile Posse measures the brand experience is through stickiness, or, when they present content to users, how long do they stay in it before moving on to something else? This is especially true with their smart agent product that dynamically changes what a user finds at unlock. “We measure our unlock stickiness and benchmark ourselves against every other app, because that’s the truest. When you unlock your phone, you find something. The question is, what do you do with what you find? We benchmark ourselves across how sticky Facebook is when people find Facebook. How sticky email is when email is there? How sticky Clash of Clans is when it’s found there? How sticky are all of these different things? If there’s one metric that we would look the most is how sticky are we?” he said. At device unlock, Mobile Posse is currently five times stickier than the average unlock experience, according to Wester, quoting research done by the research firm Verto Analytics. That would mean that, if 100 is average on a stickiness scale, Mobile Posse’s app has a 500. Facebook, meanwhile, has a 116 score and Chrome has a 112, while Snapchat is actually below the average, coming in at only 86. “These metrics quantitatively support our solution makes for a better phone experience,” said Wester. Back on the money side of things, Mobile Posse creates ad revenue for carriers, typically in a revenue share model. The firm's ad operations team monetizes the content with a mix of display advertising (CPM), sponsored content (CPC), publisher traffic generation (RPM share or CPC) and affiliate e-commerce. They’ve also built a proprietary Brand Safety system to monitor and control for bad ads and in appropriate content. “Best-in-class solutions for this really weren’t good enough for wireless carriers, so we leveraged what was out there and built optical recognition, monitoring, link testing, and exception handling on top," Wester noted. The ultimate goal for Mobile Posse is to allow carriers to, once again, create consumer value by making it easy to find content you love, all by taking control over the device and making money off of advertising, much like media and tech companies. “The whole idea is to seamlessly bring content discovery to people. They can engage with it, or they don’t, but we make the device better. Our goal is to turn telecom companies into major mobile media players by making the devices better serve their subscriber’s desire to discover and consume content,” said Wester. The carriers have to do this now because, if they don’t, others in the space will and it will be even harder to get control back from the OEMs and OS developers. “Google is doing things and finally the carriers are waking up. Google is creating the minus one screen as a tab for subscribers, and the carriers are saying, ‘Wait a minute, time out, I need to be part of this.’ So they actually have worked with Google so that Google is now sharing that area with them as opposed to owning it, but it should have been other way around: the carriers could have created their own efforts to design that, not just wait for Google to take it away from them and then say, ‘Hey I want part of it.’ Now everyone is battling in this device-centric area,” said Wester.